← Killing Black Men Is What American Cops Do……. 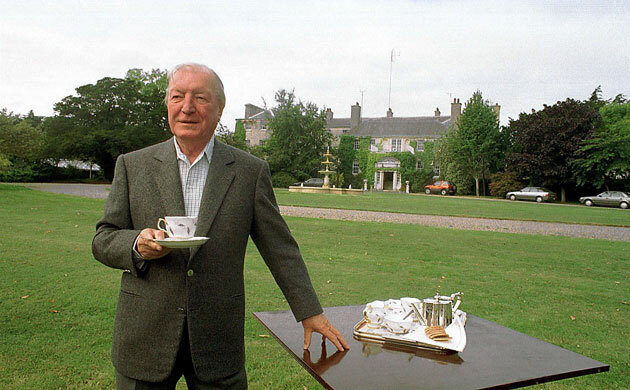 Will RTE Tell The Story Of Charles Haughey & The Peace Process? RTE today (Dec 4th) announced details of its three-part drama on the life and times of Charlie Haughey, the controversial Fianna Fail leader and former Taoiseach who, inter alia, was accused of helping to found the Provisional IRA back in 1969/70 by arranging arms shipments and cash payments to the fledgling group. In an extraordinary twist to his career Haughey was sacked from the Fianna Fail cabinet over the gunrunning allegations but escaped conviction in the Arms Trials of 1970 (there were two of them that year) when he was acquitted of charges of illegally importing arms for the use of defence groups in Nationalist parts of the North. Nonetheless his political career appeared to be over and he seemed consigned to the political wilderness. However he made a slow but certain comeback, trading on his robust nationalism and distrust of the British which was immensely popular with the Fianna Fail grassroots, and in 1979 succeeded his nemesis, Jack Lynch as Taoiseach. His subsequent career was as turbulent as his early years. His elevation to Fianna Fail leader re-opened deep party divisions over the North between those in the party who shared Haughey’s nationalism and others led by Desmond O’Malley, whose disdain for anything but the most cautious approach to Northern Ireland was shared by the Irish bureaucracy, especially the Department of Foreign Affairs, and the other main political parties, Fine Gael and Labour, and by the bulk of the media. That, along with unanswered questions dating back to the Arms Trial era, made Haughey a hate figure for the Irish establishment, particularly amongst the mainstream media. There were also many unanswered questions about the source of his apparent great wealth. In 1969, he bought Abbeville a splendid Georgian mansion with generous stables and grounds at Kinsealy on the northern outskirts of Dublin, and had a lifestyle to match, sailing around Ireland on his yacht and spending summers on a private island – all achieved with few clues as to the source of his wealth. It eventually emerged that a number of wealthy businessmen had been subsidising his lifestyle for decades. He also had a love life to match and reserved a suite at the Berkeley Court hotel near Landsdowne Road rugby ground for trysts with his lover, the journalist Terry Keane, the wife of the former Irish Chief Justice, Ronan Keane. In May 1999 she revealed on RTE’s Late Late Show that she and Haughey had conducted a 27-year old extra-marital affair. On the Monday morning following Keane’s confession I had an appointment with Haughey at Kinsealy for one of our frequent chats about the early years of the peace process and while I was strongly tempted to turn the car around and drive back to Belfast, I perservered. I was glad I did as to cancel would have sent the very worst message. The meeting was nonetheless difficult because there was an elephant in the room that neither of us could acknowledge and it was a strain pretending this was another normal encounter; at one point his charming wife Maureen served us coffee and biscuits and I thought I was going to die. There is little doubt that Haughey was one of the most colourful if roguish figures ever to walk the Irish political stage and the RTE drama would be amiss if it failed to fully reflect Haughey’s rascally side. But, I wonder, will RTE at least pay him some tribute for the hugely important initiating role he played in the North’s peace process? I ask this question because Haughey has been written out of the narrative by the establishment media and that came home to me when Albert Reynolds died in August this year. Reynolds succeeded Haughey as Fianna Fail leader and Taoiseach and took over a peace process that Haughey had begun, something that was symbolically signaled by his retention of Martin Mansergh, who was the contact man between Haughey and Gerry Adams, via Fr. Alec Reid, as his Northern adviser. In normal circumstance Reynolds would have run from Mansergh, who was despised by his erstwhile colleagues in Stephens’ Green, like a scalded cat. To judge by the media coverage surrounding Reynolds’ passing one could be forgiven for thinking that he and only he had created the peace process. That is such a gross distortion of the truth that it cries out for correction. Don’t get me wrong, I am not diminishing Reynold’s contribution. He steered the process towards the Downing Street Declaration which obligingly opened the door to Adams & Co accepting the principle of consent, as they always were going to do, and that led a few months later to the IRA ceasefire of August 1994. So he played a hugely important role. But my point is that none of this would or could have happened but for Haughey. Let me explain: the effort by Gerry Adams and Fr. Reid to open a dialogue with the Irish government began in 1986 and reached a high point in the Spring/Summer of 1987 when Fr Reid sent a 13,000 word letter to Haughey outlining the peace process strategy and the concessions that the Provos were prepared to make. After much harrying from myself, Haughey eventually gave me a copy of that letter (he was most unwilling during our relationship to surrender material or to claim credit, unlike many other participants) and it became for me the Rosetta Stone of the peace process which deciphered the heavily coded language of that exercise. I was able to use it as a guide while writing the first edition of my account of the IRA’s journey to the peace process, ‘A Secret History of the IRA’ and after Haughey died I was free to publish it in full in the second edition. Adams and Fr. Reid had approached Haughey when he was in opposition. They noticeably did not even try to begin a dialogue with the then Taoiseach, Garret Fitzgerald, presumably because they knew what sort of reception they would get. But they reached out to Haughey not just in anticipation that he would soon be back in government, which he was later in 1987, but also because of his robust nationalism: they knew that of all of Ireland’s then political leaders, Haughey was the only one inclined to give them a hearing, which he did. To be sure Haughey did get cold feet later on. That happened when Adams asked for face-to-face contact instead of channeling their discourse through Fr Reid. Not unnaturally Haughey feared that if he agreed, the contact would eventually be leaked and become public and the consequences of secret dialogue being exposed between the IRA’s leader and the man accused of bringing the modern IRA to life would be disastrous, not least for him. Sensibly, Haughey then suggested that the dialogue could happen but only if SDLP leader John Hume agreed to act as his proxy. Hume was not told about the prior contact between Haughey and Adams and agreed to meet Adams under the impression that this was the start of what later became known as the peace process. For years afterwards Hume continued to believe that he had initiated Adams’ journey to the 1994 ceasefire and the 1998 Good Friday Agreement. Thus did the Hume-Adams talks begin, in reality a substitute for the Haughey-Adams talks and these contacts continued after Reynolds became Taoiseach, with the Irish government in the happy position of being able to enjoy complete deniability of the contacts while reaping the rewards. 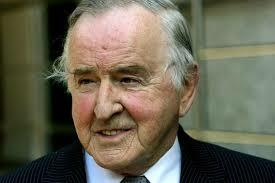 Here’s the point I am trying to make: Albert Reynolds was a very clever and astute politician but he had no interest at all in the North until he became Taoiseach and had no track record worth talking about on the North until he discovered a half-formed peace process on his desk when he became Ireland’s leader. Until then he was a dance hall owner, pet food factory boss and a political mover and shaker who was firmly on Fianna Fail’s country & western wing. I don’t think that if Fr. Reid and Gerry Adams had knocked on Albert Reynolds’ door in 1987 seeking talks about making peace they would have got any better a response than if they had they knocked on Garret Fitzgerald’s door, or Dessie O’Malley’s. Like those two, Reynolds, in my estimation, would have politely but firmly shut the door in their faces. And the peace process would have been dead before it had a chance of taking a breath. And that, in a sentence, is Haughey’s contribution to the peace process. By not shutting the door in the face of Fr Reid and Gerry Adams he opened the way to the Downing Street Declaration (DSD), the 1994 ceasefire, the Good Friday Agreement and IRA decommissioning. Without Haughey, who died in 2006, none of this, in my view, would have happened. He didn’t take the process to the point of the DSD for sure but he enabled Reynolds to do that. Haughey’s role in the peace process has more or less been written out of the record by Irish journalism. The question is, will Ireland’s playwrights and screenwriters do the same in this RTE drama? He (Haughey) was a very promising minister in the ’60s, but once he became leader all he was concerned with was staying leader. It was always about the cult of leadership. His sense of himself was much more important than any vision he had for the country. People say he discovered fiscal rectitude in ’87, and people talk about his contribution to Anglo-Irish affairs, but really if you try and look for any consistency in his affairs after the late ’70s you can’t find it because it’s just about him. Thanks for producing a thoughtful piece that doesn’t simply reiterate the shallow orthodoxies of Mr Ferriter, et al. Haughey certainly emerges as a crook, but a crook less willing to doff his cap and tug his forelock at Westminster than many of his erstwhile, anglophile peers. Posterity should at least grant him that. He is also the man when told about the institutional abuse refused an Inquiry with the glib response ‘What purpose would it serve?’ Haughey First, Second and Third was his motto. I am inclined to agree with Ferriter. I personally experienced the venomous threatening CJ at the end of a phone one day. The man was solely concerned with power, and keeping it. Every aspect of his political career was based on expediency. One anecdote concerns one of the generally accepted feathers in his cap – the abolition of tobacco advertising. A firm with a valuable contract involving a siginificant tobacco sponsor for a national event called to the ‘beloved’ Abbeville where they were received by the squire. He told them he’d put off the ban for a year provided they supplied their facilities free of charge to the next FF Ard Fheis. In this manner he bled the country dry along with pals like Des Traynor. 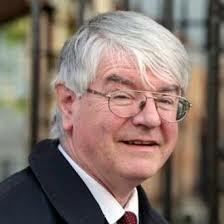 You can’t talk about his finances without looking into policies like those that gave us the IFSC. And anyone who appointed Gene Fitzgerald Minister for Finance certainly had another agenda. I don’t think I would want to disagree with the proposition that Charlie was a rogue and a crook. My point was twofold: his role in the peace process is often ignored because, I suspect, it sits uneasily with his more venal image; and if he had not opened the door to Fr. Reid & Gerry Adams, I doubt whether any other significant Irish politician would have. That makes his contribution to the end of violence in the North uniquely noteworthy. Ferriter’s judgement on Haughey, like his judgement on most things, hews to conformity and ignores entirely this side of his life. I hope, but without much basis, that RTE’s dramatic reconstruction of Haughey’s life will, in this respect, be different. That may be so but I would never believe that Haughey was motivated to act out of anything other than self interest. Like most of the worst egos in power he came to be concerned as much with posterity and his ‘legacy’ as he was with his financial wellbeing. Happily his consideration of the entrails of his career led him to lend his support to those public servants in the Republic who did the spade work on Northern Ireland behind the scenes. self-interest? whereas adams, reynolds et al were motivated by what? altruism?